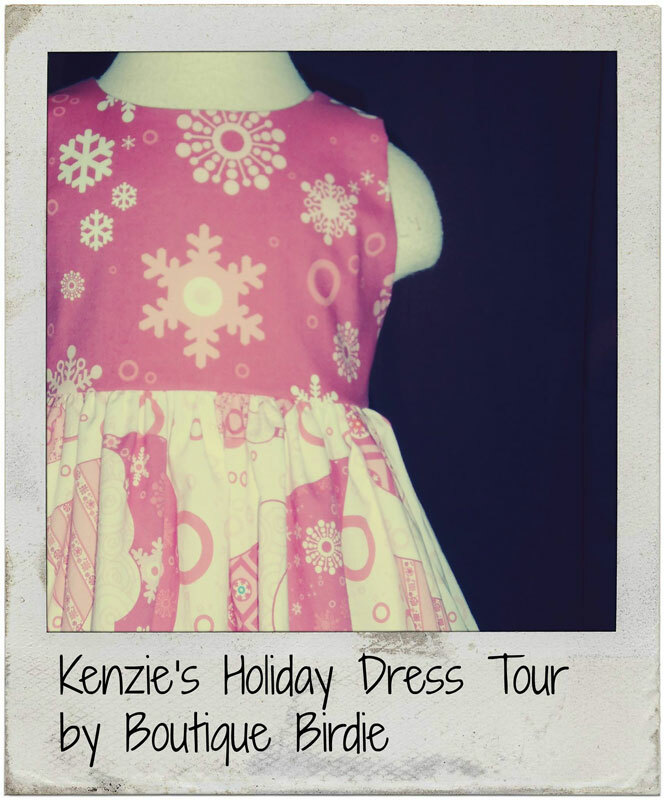 Kenzie’s Holiday Dress Tour: Day 3 – Everything Your Mama Made & More! To wrap up Kenzie’s Holiday Dress Tour, Heather made a gorgeous dress to feature over at Boutique Birdie. I love that she used pink and white snowflakes! The color will likely mean it gets worn loads more than a traditional red and green dress. Head over to her blog and check out the details! Through the end of the day Saturday, you can use code HOLIDAYDRESS2015 to save 50% off Kenzie’s Party Dress in either size newborn-4t or 5-18tween or on the Kenzie’s Party Dress Ultimate Bundle (nb-18tween +18″ doll size). Coupon expires at 11:59 pm PST Nov. 21.